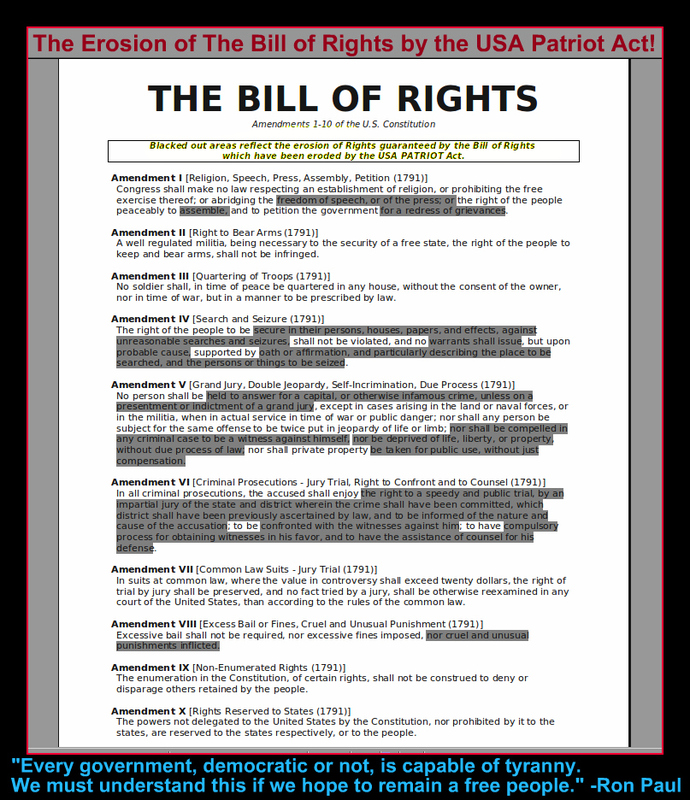 Plowed Clouds: THE EROSION OF THE BILL OF RIGHTS BY THE USA PATRIOT ACT! THE EROSION OF THE BILL OF RIGHTS BY THE USA PATRIOT ACT! IT IS TIME TO TAKE OUR GREAT NATION BACK FROM THE TYRANTS WHO HAVE ILLEGALLY TAKEN OVER AND DESECRATED OUR CONSTITUTION!